What advice do you have for a first time developer of a residential subdivision? Reader Question: Monty, as an apartment developer, I fuel future development by regularly investing in raw land. I have owned a 40-acre parcel for 20 years. I am certain I cannot rezone it for apartments as the surrounding area has developed as single family. It is a beautiful parcel and has many natural attributes. I have never developed a residential subdivision, but I suspect it is quite different from developing an apartment site. What advice do you have for a first time developer of a residential subdivision? 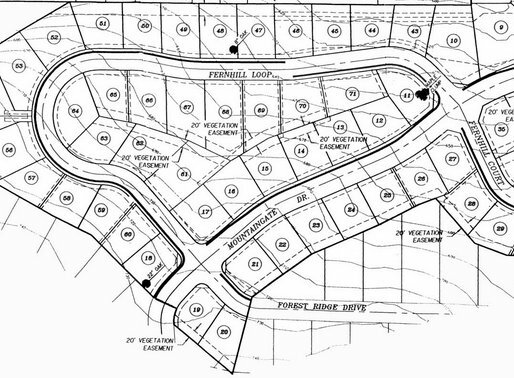 William C.
There are often simple reasons many subdivision developments fail. Careful research and planning can avoid the many pitfalls and help insure the development is not only successful, but the returns maximized. Here is a step-by-step plan that demonstrates the overall process. First verify the highest and best use of the property is a residential subdivision. A forty-acre parcel in an area that has blossomed as single-family homes may now require other services. The primary reason to investigate this is capital gain income versus ordinary income. If there is another user, like a hospital, a school or a municipal park where the entire property sells at once, capital gain treatment is preserved on the income. Engage a seasoned registered land surveyor with significant subdivision development experience to create several potential layouts. There are many factors that will restrict or allow for the differences in design. Topography, natural boundaries, design criteria for roadways, environmental issues, public utilities and more. Part of this exercise is looking at historic lot sales, new construction starts and what consumers are building. Understanding lot values and consumer preferences in lot amenities influences the final design selection. This is where separating your personal feelings about the land from the marketplace reigns. With the layout alternatives in hand, project estimated hard and soft development costs, estimates of market value of improved lots, the cost of municipal utilities and a time line projection of how long it will take to complete the entire project, from groundbreaking through the sale of the very last lot. One of the key factors in this task is the market absorption rate of residential lots. A new construction real estate agent with both access to sale records and an understanding of new lot sales will have valuable input to be considered. Another factor, which is very difficult to discern, is the future. What will the economy be like in a year or two? The real estate meltdown in 2008 created many failed subdivisions when sales ground to a halt and lot values sunk. The future can be a primary reason to phase the development. The next step is gaining approval from the municipality and other governing bodies. Your surveyor has considered all their codes and design criteria, but other questions still remain. Will the plan develop in phases, or all at once? What does the city want from the project? Are costs sharing or grant opportunities available for bringing municipal sewer and water to the site? The process in gaining approval from the municipality varies by where the property is located. Some municipalities have several review committees with a final board approval that can be accomplished in 3 to 4 months. In other communities or states where the barriers to approval are higher, the process can take several years. Your surveyor will have a good sense of the time it will take based on experience. Remember to consider public opinion. Many developments today encounter resistance from neighbors. Be prepared to help explain the many benefits such a development brings to the community. In some cases, neighborhood meetings prior to actual submittal to the municipality can be a smart idea. This reduces the possibility later on of misconceptions and inaccurate information turning into an unnecessary firestorm. Municipalities have “border agreements” with neighboring communities. This is where land squabbles and arguments can arise about “who pays” and “how much”. Subdivision development often occurs on the extremities of the community. As a cautionary note, until such time as a plan of action is established allow only the land surveyor to communicating with the municipalities.